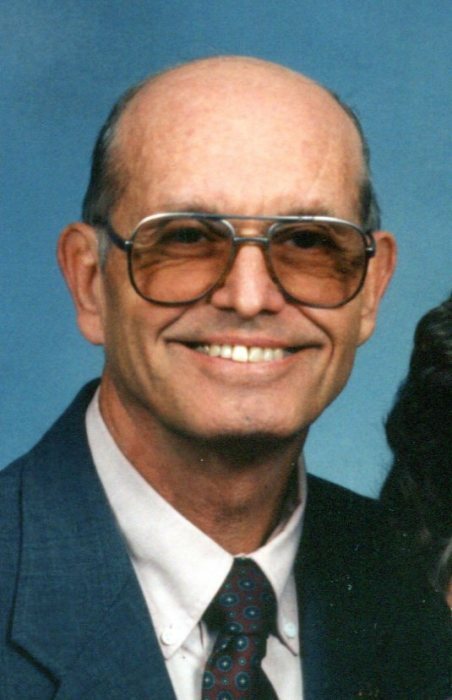 Ralph Arnold Hudson, age 89 of Forest City died Friday, February 8, 2019 at Spartanburg Regional Medical Center. Ralph was born on May 27, 1929 in Rutherford County and was a son of the late Joseph Summey Hudson and Alice Leola Guffey Hudson. Ralph was a retired carpenter and builder and graduate of R-S Central High School. Ralph was a man of strong faith in God and was baptized in the original Adaville Baptist Church building as a child and remained a member is entire life where he had served as a Deacon. Most recently he had been attending Harriett Memorial Free Will Baptist Church. Ralph was preceded in death by his first wife, Mildred Gilbert Hudson in 2006 and a brother, John Joseph Hudson. Survivors include his wife, Jessie Maloney Hudson, his sons, Mark S. Hudson and wife Kayla of Sylva, NC, Paul Ralph Hudson and wife Jan of Forest City, Timothy J. Hudson and wife Jill of Greer, SC, a daughter, Jane Hudson Kelly and husband Jason of Raleigh, a brother, Jimmy Hudson and wife Melissa of Rutherfordton, and seven grandchildren, Kaitlyn Hudson, Hannah Hudson, Zachary Hudson, Matthew Hudson, Madeline Kelly, Connor Kelly, and Sarah Kelly. The funeral service will be held at 3 PM Wednesday, February 13, 2019 at the Adaville Baptist Church with Dr. Jim Whitlow and Reverend Billy Poe Jones officiating. Interment will follow in the church cemetery. Visitation will in the Sanctuary from 1:30 until 2:45 prior to the service. Memorials may be made to Adaville Baptist Church, 805 Oakland Road, Spindale, North Carolina 28160 or Harriett Memorial Free Will Baptist Church, 1938 US Highway 221A, Forest City, North Carolina 28043.